Minnesota magician Derek Hughes dazzled audiences at Acme Comedy Co. over the holidays with his card tricks and mind games. But his most impressive act may be scoring a deal with Penguin Random House. 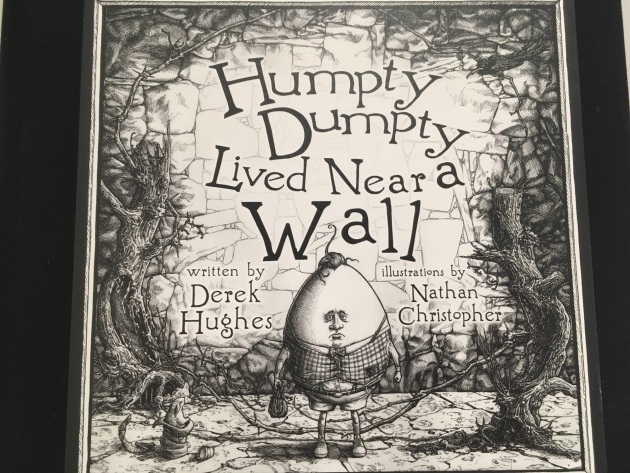 The publishing giant recently acquired the rights to his children's book, "Humpty Dumpty Lived Near a Wall," with illustrations by local actor Nathan Christopher. Hughes, who was born in St. Paul and graduated from the University of Minnesota, worked on the slim, rhyme-driven story for five years, getting some helpful tips from Teller, one half of the celebrated duo, Penn and Teller. Along the way, he fine tuned the piece during his comedy/magic act and even read it during his run on NBC's "America's Got Talent," where he reached the top 10 during the 2015 season. He self published last year, investing $13,000 for 2,000 copies that he started selling after shows. Penguin has now acquired the book and plans a national rollout for September 2019. "Aside from a successful piece of merchandise I could sell after my live shows, my intention from the start was to get the book into the hands of Penguin Random House and watch it blossom into a New York Times bestseller," said Hughes, who recently moved back to the Twin Cities after more than two decades in LA so his two children could spend more time with family members in the Midwest. Hughes is scheduled to participate Friday and Saturday in "Prime Time Balls: Celebrating 25 Years at the Southern" at the Southern Theater in Minneapolis before heading to gigs at Utah State and WIchita State University.